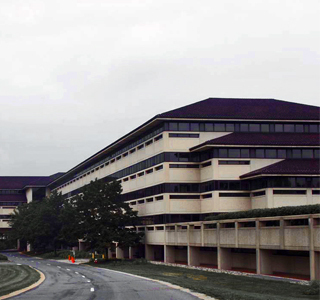 Feasibility Study for the adaptive reuse of an existing 3 million SF former Fortune 500 headquarters complex. Proposal included residential condominiums plus hotel and spa to create a luxury retreat environment. The demolition of selected interior portions of the building provide increased common space and amenity potentials as well as increased quantities of light and air available to the residential components. The site plan was revised to create a more dramatic residential, rather than corporate, sense of entry.